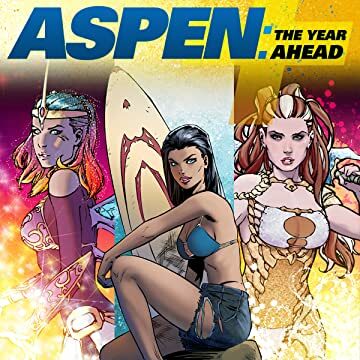 The perfect guide for all things Aspen Comics! 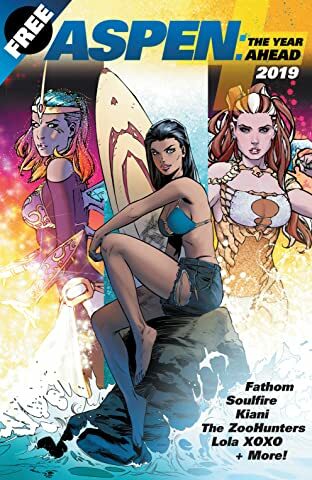 Featuring full access looks at all of Aspen's titles for the upcoming year, including Michael Turner's Fathom and Soulfire, returning classics like Damsels in Excess and Lola XOXO and more, and of course all new Aspen properties that will be revealed exclusively here! Plus, in-depth news and behind-the-scenes action you can only find in this massively inexpensive primer book! This is THE Aspen Comics must-have guide for all retailers and fans alike.